The Buckingham International Serviced Apartment features a range of one and two bedroom fully self-contained serviced suites. All fitted with contemporary style furnishings and stainless steel kitchens. All suites have FREE Wireless Internet access, 42 LCD TV with 7 selected Foxtel Channels, climate control, personal laundry facilities, voice mail, CD stereos,DVD player, a balcony or private courtyards can be requested. Come and explore this wonderful bayside suburb on your next visit to Melbourne. Our regular check in time is 2 PM, any early check-ins before 12 noon is by request only. Early check in fee is $50. If you arrive at any time outside the office opening hours, please call us in advance to get the code for our security box. We will be leaving your apartment's key inside the box for you to pick up. We do have a 24-hour serviced line which you may call any time when you need help, and it's 03 95550011. By Car From the heart of Melbourne, The Buckingham International Serviced Apartments is just 10 kilometres away. For a direct route, take Punt Road from the east end of the city, heading south through Prahran and St Kilda. Continue along Punt Road as it becomes St Kilda Road. St Kilda Road will then become Nepean Highway as you drive through Elsternwick. Continue along Nepean Highway turn right at Bay Street, with The Buckingham on your left directly after this. By train Take the train on Sandringham line, and Stop at North Brighton Station, walking along Bay Street. 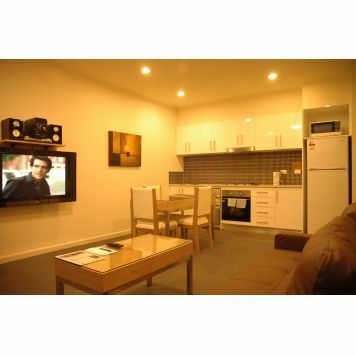 When close to Nepean Highway, The Buckingham Serviced Apartments are on your right.